Roomy and cute are the shorts or cullottes in this sewing pattern for little girls - from Burda! Nice wide legs make it look like a pantskirt. Elastic waistband for added comfort and easy to dress with. 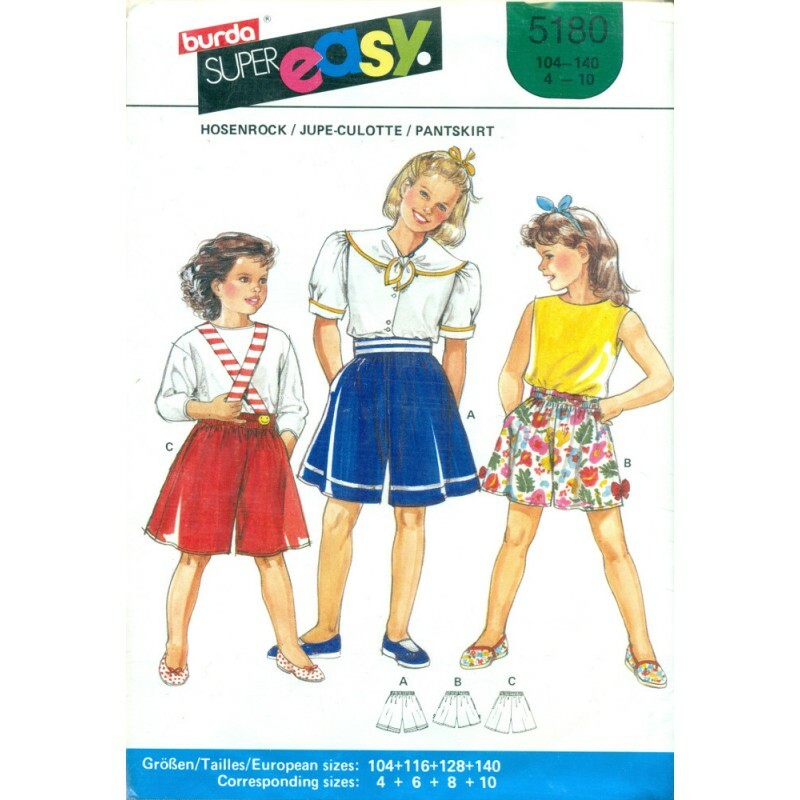 A super easy girls sewing pattern to create something really nice. Condition : Still in factory folds and original, sealed plastic.